Okay, now it is 9:51pm. For 53 minutes, I've been sitting with my laptop open, desperately trying to start writing a piece. It is a piece I am being paid to write. It is a piece that very needs to be done soon; in truth the writing of it is long overdue, even if the due date of the complete piece is still on the horizon. Now, I know that sounds completely and utterly idiotic, especially because I wrote "I forgot how to write," as well as several written sentences at the start (and clearly I intend to keep up this ramble for several paragraphs more.). Chosen and matched and paired and joined and culled and pulled from thin like glass from sand until you've formed this harmonic, melodic piece of writing from a place where there was absolutely nothing. I am not entirely sure when I forgot how to perform this trick--how to make the page fill with words and form the illusion of something that is real, when it actually is not real, but is simply characters dancing together in harmony on a page. It is now 10:01pm. That run-on sentence took me 4 minutes. 10:03pm, I went back to reread what I wrote. I forgot how to perform this magic. I forgot how to write. 10:04pm and I have absolutely no where to go with this schtick, no where to carry my darling forward and no words to begin the piece that I must begin. 10:05pm and I wonder when I actually forgot how to write and I wonder if I remember when I forgot, maybe I can remember when I remembered how and then I will no longer forget. And it will be 10:06pm and that page will begin to dance and delight and illusion itself into something that you can hold in your hands; but you think can. 10:07pm. I might remember a little how to write; maybe it is like riding a bike. Maybe I just have to trust that I will remember--at least I can fake it through 10:08 and 10:09 and 10:10 and maybe by 10:15pm, I would have faked it enough to make to the first sentence of something that can be culled and pulled and matched and conjured into an illusion. And well, maybe now by 10:25pm I'll figure it out again. Today, my baby brother should be turning 38 years old--celebrating with a meal at his favorite diner, while wearing a new pair of sunglasses. Today, I should still be a sister, but I am not. I was a sister. And David was 37 years old when he died. I am not at a point in my processing to look for God's plan in my sweet brother's death. I don't think I ever will be. His life was extraordinary--he quietly battled every day to find a place in a world that would not always understand him or accept him. The world underestimated my brother. It discounted his contribution and his value. I did, too, so many times. I am sad that he isn't here for me to celebrate the invaluableness of being David Carrington. There are no birthday gifts that can be purchased for the dead. They can't take it with them--they can't stop back and unwrap it--there is nothing they need. There are only the gifts they left behind for us. I never shared my brother's eulogy. It was hard to write and hard to deliver--but today, I needed to read it and I need you to read it. David left behind so many gifts. Then they'd debate amongst themselves if it was possible-I’d point out the bed extender—added to give his hospital bed length, so his feet would not hang out and even with that obvious evidence, the medical team—used to having concrete proof of things would not believe me. David was measured 4 times while in the hospital with a measuring tape. And even then, they seemed to question how he could be just so tall. People were always underestimating my brother. Whether it was his height or his cognition or his ability to feel joy or his very value as a human being, David was underestimated nearly every single day of his life by all of us. In the summer, after we celebrated his birthday, July 9 and then my birthday July 24, we’d always take our annual trip to Wildwood Crest. We rented the same half of a Victorian house each year. 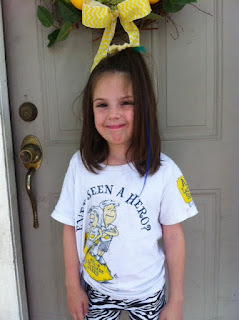 For my 7th birthday, I received the most marvelous present—a seahorse My Little Pony. I coveted this amazing peach colored seahorse with aqua hair and a matching aqua inner tube. Her name was Seawinkle and she was amazing. No one, especially my little brother was allowed to touch her. The entire two weeks in Wildwood, I brought her everywhere. We swam together, we walked the boards together, I even brought her on the little kiddie coaster that I was finally tall enough to ride. David tried to play with her constantly. We fought. My Dad yelled. My mother would have just handed her to David to force me to share, but no one was prying her out of my hands. Until the very last day at the beach. I was gathering my stuff around the house and left Seawinkle alone for just a minute and then she disappeared. I immediately knew who took her. I screamed. I accused. I told my parents it was David. They punished me and I screamed more. The whole time, my little brother, sat smiling. He was 4 years old. He could not speak; but he certainly could smile at his big sister’s distress. My parents looked everywhere. I was forced to dig through the trash. David kept sitting and smiling. He was sitting right on his suitcase, with the most sinister smile on his face. My parents still would not believe me—clearly my special needs angelic little brother would not be capable of diabolically stealing my beloved toy. And then my Dad gave up, said I’d get over it and told David to stand up so he could pack his bag. My dad opened it up and inside was Seawinkle. Right where my brother had put her. My parents underestimated just how good David was at being a little brother. He really perfected it to an art form. When we prayed the Lord’s Prayer every night together before bed—David would smack me when our parents had their eyes closed. He’d do it silently—David was non-verbal after all, and in being so was the master of the silent, stealth attack. He’d smack, sometimes poke and probe and kick, until I could not take it anymore and the devil would explode right out of my mouth before I could say , “Forgive us our debts,” Then I’d be punished and David, well, he’d continue on with that twinkle in his eyes. I once created “Tricia’s Backseat Rules,” which I’d whip out for every car trip over 10 minutes. I’d review them—David could not read. David broke every single rule without my parents knowing. He’d cross over into my car territory, he’d touch my stuff, he’d even touch me—which was expressly forbidden. And he’d do it looking me directly in the eye with that smile of his. When I would tell others about how annoying my brother was—there’d always be one person who would tell me how cruel I was to think my special needs brother was bratty or irritating. The guilt piled on by outside perceptions was frequent—but really, those caring individuals were just underestimating David’s ability to be the best little stinker and give me a run for my money. I probably deserved all of it. And David was the best at driving me nuts and the best at loving me as a little brother should. 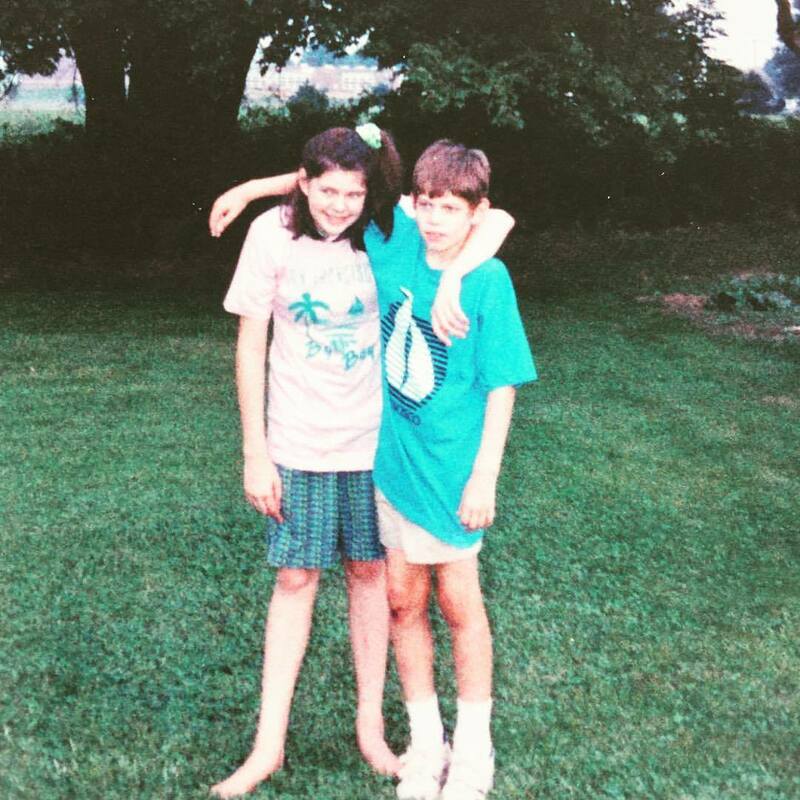 That’s my little brother, who grew up to be 6’3” tall and died at 37. I never prepared myself for this day—I never thought I had to do this—eulogize him at church. 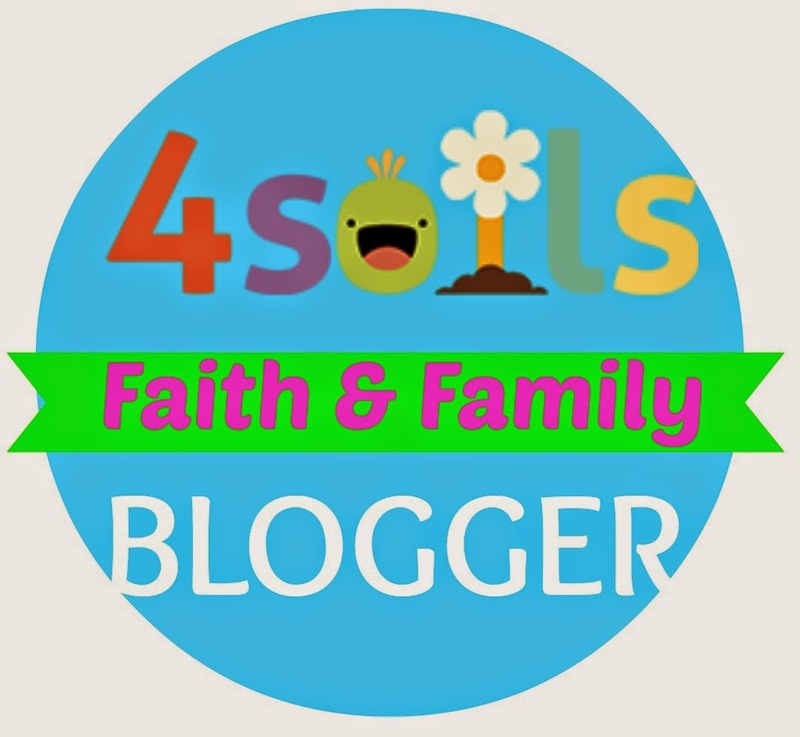 I always assumed my healthy, tall, vital brother would be the last one to go and my children or my grandchildren would have the responsibility of planning a service for him. David was always so healthy and strong and alive. But, I suppose, the small blessing, is that I can be the one to offer words about his life. David knew me better and more deeply than just about anyone here—while he was the one with the OCD that required items in a room to be arranged just-so, I am the one with the control issues that cannot stand the wrong thing to be said. We shared that—the Carrington Stubbornness combined with bizarre illogical control issues. I hate talking about him in past tense. Today is really hard. All the days have been hard since we got the call that David had choked and went into cardiac arrest. That day that my brother’s eyes stopped opening. But here we are. While, David was my baby brother who terrorized me. He was also the baby brother who comforted me when no one else possibly could. As I mentioned, David was non-verbal. He could not speak. He could say Ma and Da and he could laugh—his laugh was loud and joyous and goofy and just perfect. He could make sounds to get your attention. But, I never once heard him say my name. There were some Ta or Tr or T-like sounds, but never Tricia or Trish or Tish or Pat (which, if he could have spoken, would be his name of choice, because It would have driven me crazy). I really have no idea what his voice would have sounded like if he was able to say words. But, David knew how to speak without words. It is tough to explain—unless you knew him. David was a listener. He listened. He observed. He watched. Once, when I was about 11 or 12, I had a huge argument with my parents. I don’t remember what it was about, but I do remember stomping and screaming and shouting and being sent to my room in tears and rage. I slammed my door and there was a knock. I opened it, ready to yell at my parents some more and there was David, with a tissue. Even then, I was surprised. I underestimated him. David always knew exactly how to meet people where they were. He moved through life this way—offering tissues, offering handshakes, offering hugs. He was the good samaritan in an emotional crisis. David did not take sides. He did not care of the details of the argument. He was just ready to quietly knock and offer a tissue to his crying sister, who felt so misunderstood. The number of times my brother knocked on my door in our lives togehter is impossible to count. He was always there with a tissue, a smile and then, happy to listen to my rage and complaining about my parents or my friends or my boyfriend. He’d hit at the air in agreement with my anger. He’d laugh in therapeutic mockery of the one who wronged me. He’d bend down and offer his big sister a kiss on the head and remind her that she would never be without his love. That’s my little brother, who I underestimated. Who grew up to 6’3” and to be the man without words, but with all the love. One of our favorite games as a kid Uncle Davey game. The game as simple, it usually took place on Sunday afternoon, for about 3 hours. 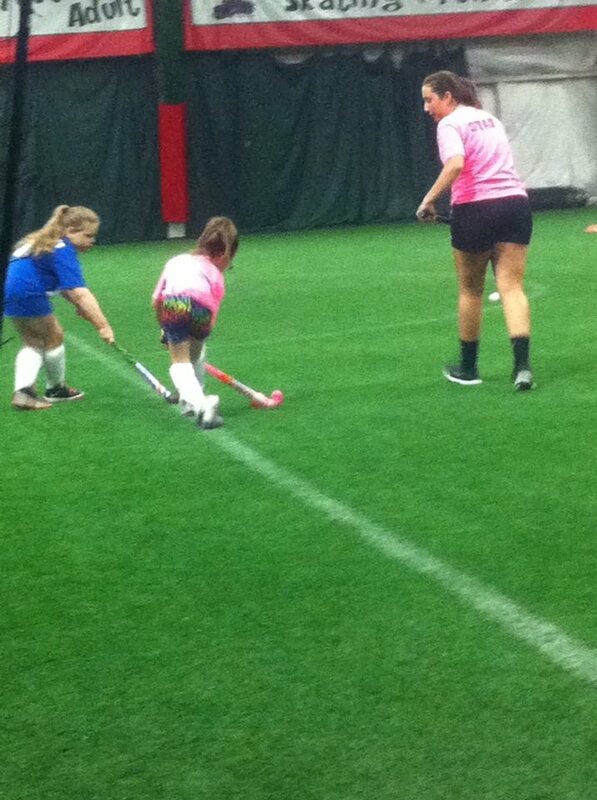 I’d grab my cabbage patch kid, Daisy Julianna and chase David around the house for hour shouting “Come here Uncle Davey! Play with me Uncle Davey!” David would laugh and hide and I’d hide and pop out with his pretend niece. To make my brother into a real life Uncle Davey, gave me such joy and gave him such joy too. I loved hearing my kids shout his name. I loved watching them have dance parties together and playing with light sabers and simply be his nieces and nephew. I loved watching my little children look up high to their uncle. I loved watching my tall brother bend down and kiss them right on the head. There were no strangers to David. If he encountered someone he had not met before, he’d pat them on the arm and then offer them his hand for a handshake. Every where we’d go, someone would know David—at the diner for his birthday lunch in July—the waitress knew him by name. We went out to dinner in August, and David sought out a man dining alone—he offered him a handshake and a smile. David sought out people—he sought them out to listen to them and to show them his world. David could not speak, but he’d take you by the hand and show you things—he’d show you the things that gave him joy—music and food and laughter. And no matter how many times people rejected him—believe me, many of us are uncomfortable with a 6’3” developmentally disabled man we’ve never met trying to pull us around a store—David did not stop. David never gave up sharing the love. He was rejected so much in his life—but David never learned that sad lesson of being the one doing the rejecting. David forgave instantly. David loved freely. In the days since he’s died, so many people have sought us out to tell us how much they’d miss his hugs and his smile and his laugh. David made the world joyous and beautiful just because he loved people so much. My little brother grew up to be a man that loved in the way Jesus taught us. At my wedding, David was a groomsman. I did not know how it would go exactly. And I had no expectations he’d really do anything except be there. Mike and I both knew we’d never get married without David standing by our side. And in the all years Mike and I dated, David was as much Mike’s brother as he was my own. At wedding receptions, the dancing sometimes gets started slowly. Everyone needs a couple cocktails to get out on the floor. But, David, well, he was not into the slow start. The entire night, David pulled each and every guest onto the floor. There was no one excluded or left behind. He made our reception the best party ever. When I was looking through photos, I tried to find out of him dancing—but they were all blurry, because he was busy—busy living life with joy. After our father died, we decided that David needed to leave home and move to a group home. We prayed for a place that David would be safe. I prayed for a fast placement—my mom was struggling, David was struggling, I was struggling and David needed to be well taken care of and safe. Within a couple months, David was placed at Galloway in Bensalem. I know my mom struggled with the thought of sending David away—but the moment David meant Anthony and the entire staff—David never looked back. David found himself a grown-up home. A place where he could live a life separate from us. He worked at BARC workshop. He went out to dinner and shopping and to the beach and lived this beautiful grown-up life without us. David had a good life. At the end, when David developed pneumonia and there was nothing more the doctors could do to help him breathe, we made the decision to move to comfort care and to donate his organs and tissue. David’s body was failing. His oxygen was in 60s and 70s. His blood pressure was lower than I knew possible. He developing a neurological fever that topped 106.5. His heart could have simply stopped at any moment. Leaving him dead. And leaving him ineligible to donate his organs. We prayed. We prayed so hard for a miracle to heal David on earth and bring him back to us. But, in those last hours of his life, our prayers became something different—our prayers became the prayers that David’s death would result in life. That his body’s suffering would be the miracle that other families were praying for. And on Saturday afternoon, time was short. Preparations had to be made. His doctors pulled out all the stops to keep him alive and lower his temperature, raise his oxygen and his blood pressure. The Gift of Life made arrangements for a surgical team. David’s vital signs kept worsening. I whispered—okay I yelled because no one in my family knows how to whisper—in his ear to just hang on—I told David he could go, but we needed him to wait—to just wait a little—because people needed him. Every time, I’d nag my brother to live just a little bit more, he’d rally. His vital signs would improve and my strong, tall brother hung on. Within a couple hours, we all met in the operating room. David’s nurses knew about his love of Sinatra—so Fly me to the Moon was playing. We removed all the things keeping David alive and said goodbye, as our hearts broke. That was my little brother—the man who would die a hero—donating his kidneys, heart valves, corneas and lungs and giving his joy go freely to people he never met—because David never knew a stranger. As much as I feel myself filled with grief and sorrow—and it feels so right to rest in the grief—today and everyday need to be a celebration of my, of our David. The man, the son, the friend, the uncle and the brother who loved music, who loved to dance, who grabbed everyone by the wrist, pulled them out of their comfort zone and invited them to dance, who celebrated the Sabbath with joy that rocked his whole body and conducted choirs without asking for permission, who laughed at every joke with an open mouth and a joyous twinkle in his bright blue eyes, who greeted friends and strangers with handshakes and bear hugs, who brought tissues and empathy to the broken, who hosted dance parties for his nieces and nephew, who ate every meal as if it was his last, who was born to be the beloved uncle Davey, who held onto his earthly body even as it failed to give five other families a miracle on this earth, who was underestimated until his dying breath, but now lives forever with Christ and will forever live in the music and the laughter and the dance in our lives, until we meet again. Today, we celebrate this great man and vow to celebrate him every time we are tempted to ignore a stranger and everyday it seems easier to offer a rebuff instead of a tissue to the broken. David loved music. He loved Gospel choirs, Frank Sinatra and Andre Rieu and Yanni and most of, Lawrence Welk. When we were growing up, Lawrence Welk came on at 7pm each Saturday night. Around 5pm, my brother would begin to get excited. He’d fill his cheeks with air and put his finger in his mouth to make a popping sound—the sound of Lawrence Welk’s champagne bubbles popping. My mother and my father would be excited too. I’d look for a book to read and pray none of my neighborhood friends knocked on the door while this spectacle took place. And watching Lawrence Welk in my house was a spectacle. My dad sat and cheered. My mother would occasionally stand and sway or do a little polka. I hid in horror (the house was not very big and even in my bedroom, I could hear the polka and the Lennon Sisters through the vent). David stood right in front of the TV and conducted the entire show. He loved the show opening, the songs and acts in between and even the last song—the goodbye song played each show. We agreed on the goodbye song—I loved it, too, but because it meant, that finally, I could have the TV back and the spectacle of Lawrence Welk would end. I will not sign the song for you, because while God gifted my brother with musical ability, God gifted me with words only. I cannot think of better words to use to say goodbye, to my sweet, beautiful, brave, brother who was so much better than me. David is a hero and may God help us all to remember that as the days go on and may God bless us all with the same heroism when the time comes. I have this theory that death brings about new birth--I remember when my grandfather died, I met Mike—my husband and soulmate. When my Nana died, I found how much I loved words (over architecture) after reading through volumes of Edna St. Vincent Millay poetry that I found on her bookshelf. When my Father died, our miracle boy Nicholas was born. Energy is never lost--it just changes. 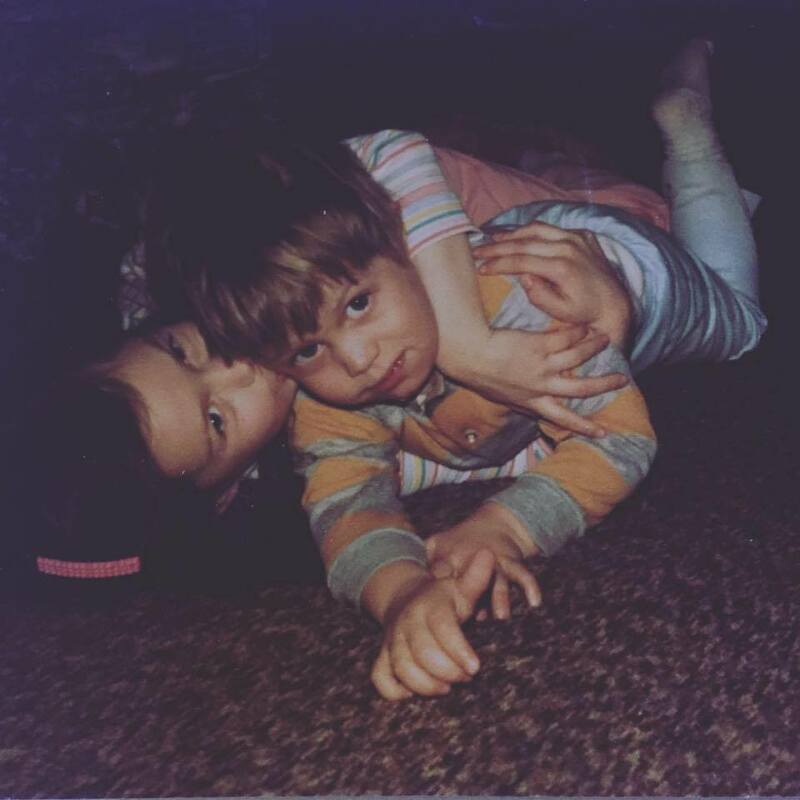 When my brother David died, I really felt like I'd given birth to all the things I would. I wrote posts about his accident, his coma and his death. I wrote his eulogy. But I had nothing left. I noticed it in all my projects—I was still writing and the writing was, okay. But, I found myself not caring which words I placed on the paper. I had no more moments of racing out of the shower to find my notebook to write down a brilliant turn of phrase. I have not written a brainstorm on a Post-It in two months. I did the writing work. I wrote the words. But I have not told a real story since I lived the story of my brother dying. David choked; and so did I. It was as if the right words—the perfect words—were choked right out of me. Monday, I had a particularly horrific writing day. I just could not do it anymore—even placing words on paper felt pointless. A colleague gave me negative feedback. I gave myself even more negative feedback--verbally lashing myself until I felt raw. 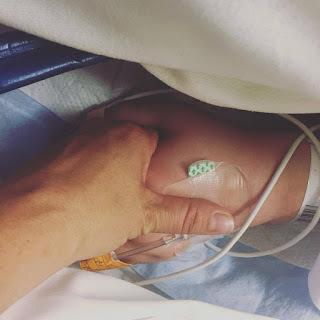 I spent the day grieving David and grieving the words and grieving that I was failing my responsibility to be the surviving sibling who was living life to the fullest. The grief was so intense I had a hard time not crying in public and spent a large part of the morning stress paralyzed in a coffee shop with tears streaming down my face. Because for a writer, a world without words is gray and sad and empty. Tuesday, I thought maybe I should focus my energies on learning time management or accounting or something practical. Then a random email about a writing program I’d been casually researching for a few years popped up in my email notifications. I deleted it. Wednesday, I had 15 minutes of downtime waiting for an appointment to start. I decided to be practical and clean out my inbox. 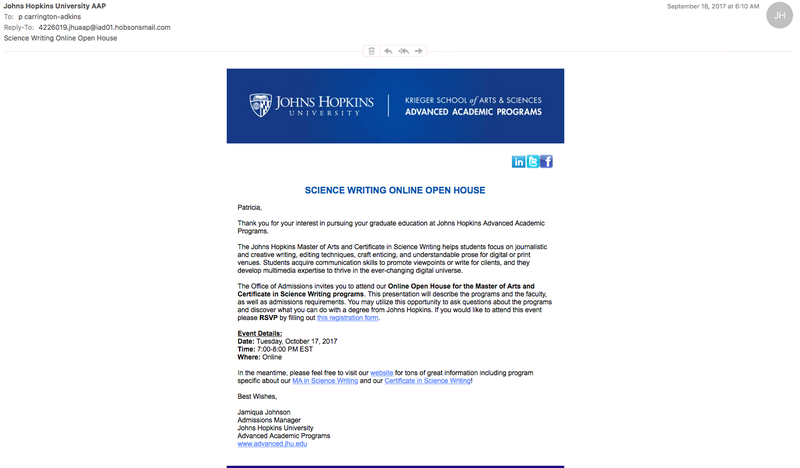 There was that email from John Hopkins University—I thought I had deleted it. I noticed it was a reminder about an Open House--an Open House in October. The email was dated 9/18/17; the last Monday of my brother’s life. I clicked the links and then started an application on a whim. I am not sure why; I just did it. And then I forgot about it. The day got busy. I moved on to other things. Then Wednesday night, my computer was crashing and blinking and the only thing that would work, was the application to John Hopkins for Science/Medical Writing. So I worked on it a little more--I was not going to apply, but there was something therapeutic about filling in forms about myself. It kept my mind off burials and David and Christmas without him. Then Thursday afternoon, John Hopkins called me for a pre-admission interview. 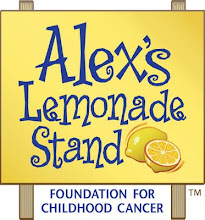 During the interview, I still thought, "I am not really going to do this," but then I mentioned my work with Alex's Lemonade Stand Foundation and the Admission Officer told me how much she loves Alex's. Her younger brother is a childhood leukemia survivor. She said when he was diagnosed in the 1990s, there weren't family resources and she remembers her family feeling so alone and confused. She said she loved that there was a charity that helped families make a difference, together. She thought it was nice I supported a charity and thanked me for helping families like hers. Then I told her that I was a mother—just like her mother—the mother of a survivor and yes, I understood. ALSF exists because of an amazing child and an equally amazing family—and yes, I love writing about the research, because ALSF is the leader that will find cures for childhood cancer. And then I told her about all the amazing projects and researchers I get to interview and write about and talk about. Then I told her about my work for Happy Family and my new project writing about raising environmentally friendly kids and infant/toddler nutrition and how much the world needs organizations like ALSF and responsible corporate partners like Happy Family. I told her my brother was an organ donor--and the world needs to understand the importance of tissue donation and medical research. The world needs complicated information-translated into language that we all understand. Technology and science and medicine and nutrition should not be secrets or inaccessible. I told her that I had the words to do it---but sometimes those words are just out of my reach, but I know if I just stretch myself a little bit, I can grab those words. We will expect your application sometime this month. And suddenly, the words are back. Energy is never lost—it is just changed. Instead of a eulogy, I’ve got a Statement of Purpose to write. We are moving. June 18 will be our last lemonade stand in our front yard in 08021. Of course, not our last lemonade stand forever. Just our last one here, in our first home. The home where we brought home all our babies and made so many memories. The home where we hosted our first Alex's Lemonade Stand in 2009. The home we raced home to after Lily was released from the NICU in 2006 and the PICU in 2007. The home tiny Chloe came home to in February 2009 and the home our sweet surprise Nicholas first slept in and made our family complete in 2012.The home where we hosted 7 lemonade stands and planned our #BigLemonade World Record breaking cup. We are sad to leave. We are excited for the new house (not far! Just a couple towns over and closer to our church.). We will miss this bungalow that has long been overcrowded with stuff and lemonade and love and memories and chaos and glitter (note to all potential new owners: you must love glitter, I think it seeps from the walls.). Our children will miss our front yard lemonade stands the most. When we first announced the move and made it clear this was happening--Lily said: " What about my lemonade stand? Will the lemonade stand butterflies follow?" Lemonade stand season is ideally timed with butterfly season. Lily once heard Jay Scott, Alex Scott's dad, tell the story of the butterflies in their front yard every lemonade season. The stories of Alex's life and legacy are so deeply entrenched in Lily's memories and in her own life story. Lemonade and butterflies and hope and strong, warrior little girls who change the world--are not fairy tales but true life stories. Our front yard is filled with lilies (both the human and flora kind) and lilacs and lavender and daisies and other blooming delights. There are always butterflies in June, along with lemonade, in our front yard. 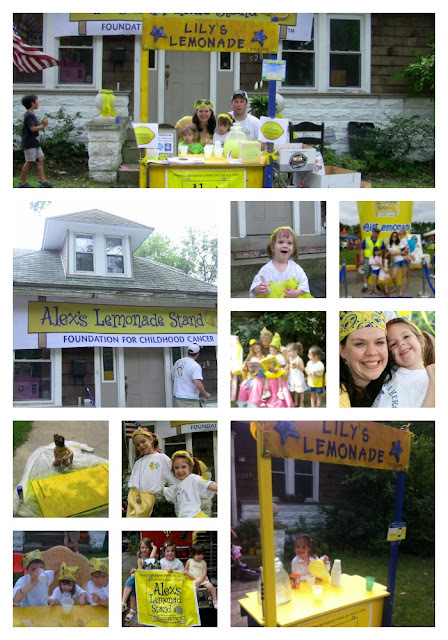 For our kids--our annual Alex's Lemonade Stand is so much more than tradition--it is truly part of our home and the story of our lives. Someday, the new house (which we've nicknamed "Eldridge," for the street it is on) will also have butterflies and lemonade and truly be our home. It is hard for all of us to fully see that now--we have such an amazing community here and there is always the fear that our community now; won't follow us a few miles up the road and well, the new community won't see the butterflies and lemonade. However, we've learned that Alex Scott's legacy of lemonade, hope and childhood cancer research is infectious. I am pretty confident wherever the Adkins Three land, the butterflies and lemonade will follow. We have Alex to thank for that. There are 5 days until our one last stand in the Front Yard of 08021. We can't wait to see you. Bring friends. Bring hope. And bring yourselves. Oh and save the date, we already have our first Eldridge Lemonade Stand planned, just at the tail end of butterfly season: September 18, 2016. We'll see you there too. Every donation funds innovative, cutting-edge childhood cancer research. Alex's Lemonade Stand Foundation has an amazing Scientific Advisory Board that works to identify the most promising projects and to fund breakthroughs. Because of your support, Lily's annual lemonade stands for ALSF have funded over 40 weeks of research. I was waiting in airport security with Lily. She was just 15 months old. Forty-eight hours earlier, Lily was in the PICU, recovering from her fourth and final brain surgery. Her stitches had not dissolved and there was still dried blood on her incision. It was the summer and there was a long, long line. I tried to ask to go ahead of the line--to go through the line for people with special needs or for frequent fliers, but I could not form the words: "My baby had a brain tumor." I stood there silently, texting Mike, worrying about Lily in the stroller, scared she might vomit in the heat of the long security line. We waited and waited. Mike stayed home for this trip; he needed to work and we knew this would be the first trip of many and we needed to save his time off for the long haul ahead. This time I would meet with the doctor in Houston who would manage Lily's proton radiation treatment. I was alone with Lily, studying her. There was the new incision, plus all the others, everywhere that formed a map of her time in PICU. Brain cancer leaves its mark everywhere--it is messy, unrelenting. We had not fully removed the dirty, sticky outline of adhesive tape that formed a small rectangle around the spot that held all those IVs. It looked like an outline at a crime scene. We waited for an hour. We made it through security. We made it on the plane. Lily sat on my lap--we had the middle seat--the only seat we could get with little notice. The passengers next to me just stared and stared at the long, long scar running down the back of her head and onto her neck. I could not tell them what happened. I could not say: a month and a day ago my daughter was just a baby. 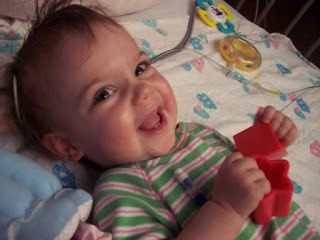 Now she is a baby with ependymoma; a baby battling childhood cancer. I could not say that I was staring too; staring at that long scar, remembering that Lily had been facedown in an operating room for 4 1/2 hours. She had to receive 4 units of blood. The tumor did not want to let go. Our flight was 3 1/2 hours. It was 1,560.5 miles to Houston; 3,121 miles round trip. When you leave your home for cancer treatment for your child, you truly leave everything behind. You leave your bed, your friends, your dog, your cat, your normalcy, your sanity. It is all left in panic, as if a storm is coming. However, the storm already swept through and you lost all those things the moment your child was diagnosed with cancer. You traded your bed for a hospital chair and your friends for nurses and other shell-shocked parents. Your pets have become something you need to have someone else care for because you are gone; gone in the night and racing right into the storm. Because you have to get right to the center to fight--and then you have to go where the hope is--you have to try to find a cure, no matter how far you go. Our trip for proton radiation was 3,121 miles. My friend Stephanie has traveled over 18,000 miles for her son Nico, who is battling Neuroblastoma. Keren traveled 4,600 miles, for Cole, her neuroblastoma survivor. Renee traveled over 6,606 miles for Felicia who battled Wilms Tumor. David well over 1,600 miles for Jonathan, his son, who battled ependymoma. We all left it all behind for our kids. We keep leaving it behind with every MRI and treatment plan and follow-up meeting and radiation treatment. And then there is my friend Robin. She traveled endlessly--thousands and thousands and thousands of miles for a cure for her daughter Campbell, who battled ependymoma of the brain and spine. Campbell never got her cure. She is forever 8 years old. Brain tumors never want to let go. That is why this September, during Childhood Cancer Awareness Month and Alex's Million Mile, we will walk and run and ride and log our miles for a cure. We will leave it all behind--our comfy couches and car rides and our fears--and we will walk, run and ride right into the beautiful storm of hope. We have no choice. We do it for our children--we do it for our friend's children--we do it for the children who are diagnosed each day. We do it because childhood cancer remains the leading cause of death by disease in children. Children are diagnosed everyday. Children are dying everyday. But there is hope. There is hope, one mile at a time. This September we will join with teams all around the world in Alex's Million Mile--a month long awareness and fundraising event. 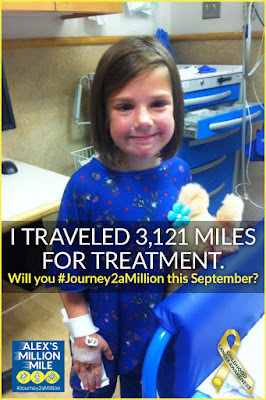 We will track our miles and collectively reach 1 million miles and 1 million dollars for childhood cancer research. We will do it, one mile at time, leaving behind all those doubts and fears. Trading the storm for the joy of hope. If you feel inspired to take this journey with us and log your miles in September, join Team #BigLemonade for Alex's Million Mile. When you join, you will record the miles you go and with every step you take, know that you are walking with all us of towards hope for a cure, one mile at a time. When I was 8 years old, I woke up one Saturday morning and declared that I would marry my brother. I decided that I would take full responsibility for being his family when we were grown up. Because I was his big sister. I was too little to understand that marrying your brother was not typical or normal or advisable. But I was old enough to understand that my brother was far from typical. I spent nights lying on the floor of the upstairs hallway with my ear pressed to the vent listening to my parents discuss David and David's future and David's disability. Before I knew my ABCs, I knew that David might not ever be able to tell anyone his name. I knew that David had challenges and differences far beyond anything my parents had planned for their youngest child. I knew that David would need me. A short time before I made my bold declaration, I was at the playground with David. He was waving his arms--something he did when he was excited. He was also drooling. And he was making noises that were not words. He was having so much fun chasing me. And I was having so much fun being chased. Then some kids asked me what was wrong with David. Why was he like that? What was he doing? I knew then that the world might not love my brother. So, I had to love him enough for the world. David is now 35. I am fairly certain I've failed miserably at loving him enough for the universe. I am far from the devoted sister who races to his side every moment. I am far from the sister who picks him up once a week to take him to movies or to a concert. I am not entangled and close-knit and attached to my extended family in a way that has me involved in the daily bits of his life. Some of this is my personality and some of this is circumstantial--David cannot speak or read, making communication difficult. 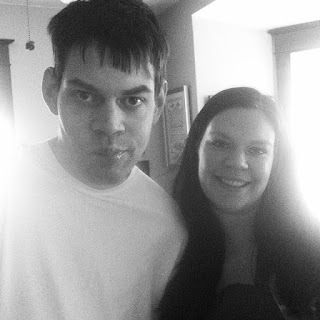 I'd never invite my brother to live with us and I'd never consider becoming his full-time caregiver. These things are outside of my comfort zone and far from something I am capable or willing to handle. As life companion for my brother, I've most certainly failed. Despite my failures, David has a successful life of his own--a life that by my own ridiculous standards may seem simple and small, yet for David is complete. He has a home away from our childhood home--a group home of his own with friends and roommates. He has a job. He has a social life. I forget about him in my daily life, which I guess is a normal thing for a sister to do sometimes. He is taken care of--my father made sure he would be--and I am able to get on with my own life, unencumbered and unattached. It all goes well, except for the little voice in the back of head that reminds me of that vow I made when I was 8. It was a vow built on knowledge and fear--the knowledge that David would need help to make his way in this world and fear that no one would ever love him enough to care. It is the voice that says: Outside of my tiny family does anyone really love and care about David? Would they miss him if he was gone? Would they mourn his absence for more than a moment? Before you protest and jump in and say, "Of course! Of course! We love your Brother! He is amazing," I am not worried about that general kind of love. It is not the kind of love we have for those our loved ones love. It is not about the kind of love and appreciation we have for people we see in Facebook posts and in Huffington Post stories and on UpWorthy. It is not the kind of love we all have for our follow human beings. It is not the viral sort of love we have for people we will never really know. It is the kind of love that leaves us with a hole in our lives when that person is gone or missing or out of commission. It is real life, true life affection, admiration and fondness. It is the missing kind of love--the kind most of us know our friends and spouses and family have for each of us. David is 35. He is in the hospital fighting double pneumonia. I am scared for him--scared his disability will make his recovery long and painful. I scared he will never cough hard enough to clear his lungs. I scared he won't get better. I am scared that no one misses him, the way his big sister does.